The elegant Leonardo Restaurant has deserved its reputation of one of the trendiest restaurants in Bansko , which enchants with unique Italian cuisine and perfect service. Leonardo Restaurant is part of the open aqua complex of Lucky Bansko Aparthotel SPA&Relax and is located only 10 m away from the main hotel entrance. In winter the restaurant offers 60 seats distributed in different combinations while in summer the restaurant can only offer 40 seats since its wall is open to the outdoor swimming pools. The decoration is in warm colours, the furniture combines wood, wrought iron and natural materials. Leonardo Restaurant offers show cooking and winter cosiness is created by the lights of the fireplace in the hall. In summer you can combine delicious cuisine with the pleasure to jump in the outdoor swimming pool enjoy the pure mountain air and the caressing sunlight. 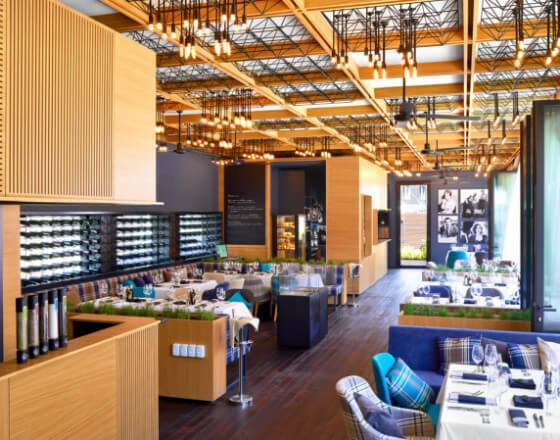 You just have to try Leonardo Restaurant’s cuisine. 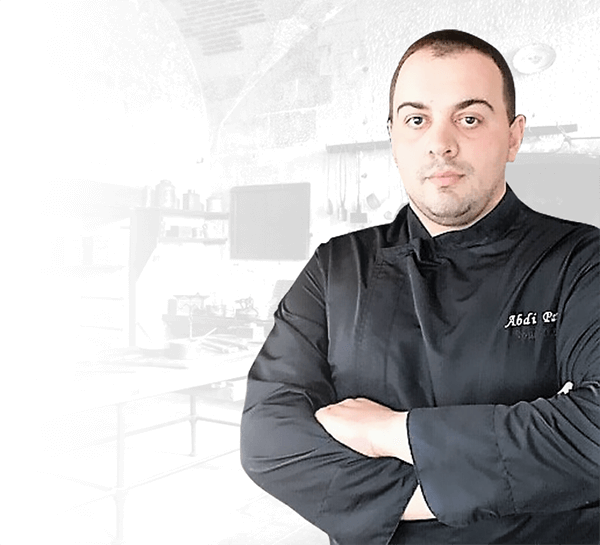 Chef Abdy and his team are personally involved in each product’s delivery and they follow strictly the entire food preparation process ensuring no compromise with quality is admitted. Meals are prepared immediately after ordering and they are attractive in addition to having wonderful aroma and amazingly good taste. The guests are offered a variety of delicious salads, soups, pizzas and pastas, as well as main dishes, mix of Italian sausages, cheeses and deserts. Recently baked focaccia – Italian bread with olives and rosemary welcomes every guest in Leonardo Restaurant. Stakes of tender Black Angus veal are among the most ordered specialties. You can enjoy smoked taste if you choose Josper preparation /charcoal barbecue cooking at 35º/ or more natural taste intensified by the aroma of fresh spices aroma if you prefer Sous-vide preparation /from the French word “under vacuum” – a technology reserved exclusively for master chefs for preparing meals under vacuum at low and constant temperature of 60º/. Game can be prepared under vacuum, too. We strengthen the taste of meat delicacies with sauces with Italian Marsala wine or smoked pepper. Leonardo Restaurant uses fresh spices such as rosemary, salvia, basil, oregano and thyme to give particular and unique taste to every meal. The restaurant offers hand-made Italian pasta prepared by the chefs themselves. The pasta might be served with one of the special master chef sauces: Bolognese/ragout of veal a la Toscana with fresh rosemary and salvia/, Carbonara /with pancetta, Pecorino and Parmigiano/, slightly spicy Arrabbiata, prepared of peeled rose tomatoes and Peperoncino or alle Vongole, sauce with white clams and fresh cherry tomatoes. Leonardo Restaurant is the only place in the whole town of Bansko and the surroundings where you can order gluten-free pizza or pasta. They are made of tapioca and rice flour with guaranteed biological origin. You can order classical Margarita, Quattro Formaggi, Peperone with fresh hot pepper and spicy Ventricina salami, a pizza with prosciutto and penny buns. The common characteristic of all pizzas is the thin base which gives the name crispy pizzas. They are prepared of fresh tomato sauce, mozzarella and fresh basil and oregano. The specific taste of each pizza and its name is given by the resting ingredients. In winter you can enjoy tasty fresh wild fish delivered every three days directly from Greece such as European bass, gilt-head bream, fagri. The chosen wild fish is covered with sea salt and is baked until it’s ready. When served, it’s flambéed in front of the client, and then it’s filleted and divided into portions by experienced waiters in front of the guests. Fish can also be prepared in an oven being covered with citrus juice to give it exotic flavour and stronger aroma. The best experience to finish your meal in Leonardo Restaurant , is to order Chocolate surprise. The desert is served in a very attractive way while its taste makes you enjoy sweetness. It represents a sphere of white chocolate covered by fresh fruits – strawberries and blueberries. It is served in a big plate and is covered with hot chocolate in front of the guests. The white sphere starts melting to reveal the delicious core of chocolate brownie of hazelnuts and aromatic vanilla ice-cream. For young guests – as well as for those feeling young – we have a large variety of colourful home-made ice-creams and fruit sorbets made of fresh fruits. In summer we offer unique veal burger with smoked Scamorza and home-made chips. Leonardo Restaurant also offers a respectable list of Italian wines. We offer highest-quality wines from the Italian regions of Toscana and Piedmont. Wines from Spain, France, Chile, New Zealand, Argentina, etc. are also available. We haven’t ignored the Bulgarian wines, either. The lovers of strong beverages will also find a variety of high-quality Bulgarian rakia, malt whiskey, special vodka selections, high-quality French cognac, Italian grappa, as well as traditional digestives. You shouldn’t worry about choosing the most suitable beverage for each meal. Our expert staff will immediately recommend you the best option only if you give them a hint about your preferences. If you enjoy delicious food, elegance and you like being perfectly served; if you wish to satisfy all your senses, you just have to visit Leonardo Italian Restaurant in Bansko!